Copse Magazine is an online magazine, published by Sailfin Magazines a publishing company specialising in online magazines, content writing, and online marketing. 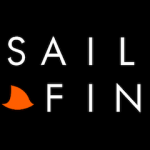 Sailfin Magazines is, in turn, a trading name and division of Sailfin Ltd. Sailfin was named after a fish. Not any specific fish, but just a word that we quite liked the sound of, way back in 2007 when we were literally flicking through a dictionary trying to come up with a great name. We accept article submissions that are written uniquely for us. This means content that has not been published elsewhere on another website, blog, or publication prior to our publication of that content. We do run all content through a plagiarism checking service. Ideally, uniquely-written also means that the content has been written with our publication and audience in mind and is therefore tailored to our annoying tone of voice that switches between irreverence and opinionated intelligence bordering on arrogance. We also publish fairly neutral articles with no personality – but these rarely make it into our favourite vague napkin philosophy section – articles about life. If you are working in public relations or promotions and you are so excruciatingly overly excited about the client that you are being paid to promote in an intelligent and articulate manner then please make contact with us and tell us how you would like to work with us in a bespoke manner to really engage with our readers and provide content of real value that will engage, enlighten, or educate our audience. Simply send us your unique, well-written article with a rights-free image as a separate file (not embedded in a word document) and we will do our very best to publish it and make your end of week press cuttings job, that little bit easier. Aim for 500 words+ and ensure that it’s human-readable, not just SEO-friendly. Please do not simply send us press releases or they will be deleted in the order they arrive. Email: James [at] copsemagazine.co.uk We don’t want to be a pain in the bottom, but our inbox is full of press releases that all start with “research shows…”. Please help us to stop drowning in a sea of poor writing. If keyword links are included then this is considered a promotional article and a fee of £75 will be chargeable.